Arrived in EBC in a snow storm. Felt great but stayed with a fellow climber who was really struggling. 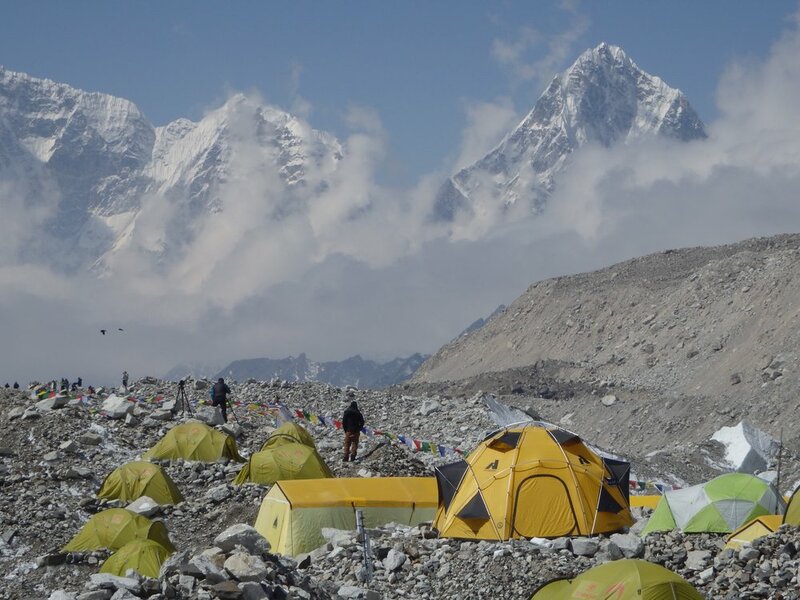 A lot of climbers struggled with the altitude because EBC is over 17,000 ft., plus we arrived during a snow storm with the barometer dropping. Some climbers went right to sleep to get warm. The base camp is spread out and surprisingly hilly. It’s all slate rocks on top of one massive glacier that is the Khumba Glacier. Today, we had our Puja, a Buddhist religious ceremony asking for the mountain to bless us for our climb. It’s very important to the Sherpas. 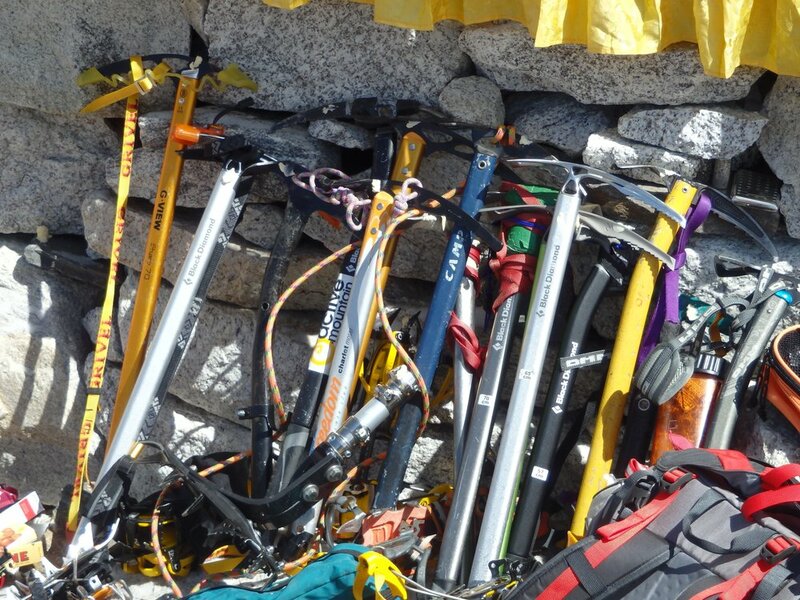 Climbers will have their ice axes or crampons blessed. The rest of the day is spent resting and getting used to the altitude in the white pod. Still no WIFI or NCELL (Nepalese phone company). Feeling very very isolated.